I know everyone is in detox/healthy mode as its January. How about a beauty detox too. Beauty at Tesco have some lovely goodies to treat yourself, as your skin needs looking after too. I'm already a huge fan of the Pro Formula range the gel cleanser is pretty amazing, so I as super happy to receive some other items to try. What I like about the range is its cruelty free and it fits in to every budget. Face masks are my thing and it something I use twice a week, for some reason my skin has been awful this January and the only thing I can put it down to is my supplements. I think it's a case of it getting worse before it gets any better. Thermal masks are magical, I love the warm feeling you get when you put one one. I just wish it lasted a bit longer sometimes. I've had extremely sore huge spots which have been painful and taken days to come out. The mask itself is very thick mask. It deeply cleanses, helps to open pores and absorb excess oils. 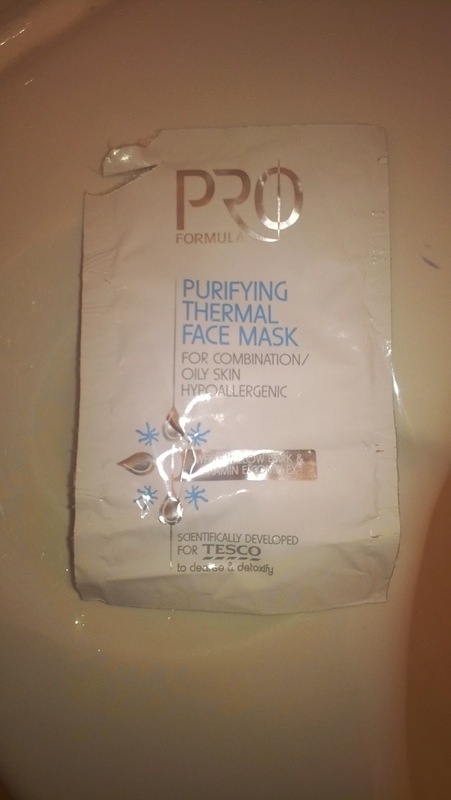 I left thE mask on for around 15 minutes, I noticed straight away my face felt gift and a bit dry. The next day the spots was out and not painful anymore. I've managed to get three uses out of the mask and the results have ben really good. Enriched with white willow bark and vitamin E.
I've started to use the cleanser in the morning then he scrub on the night. 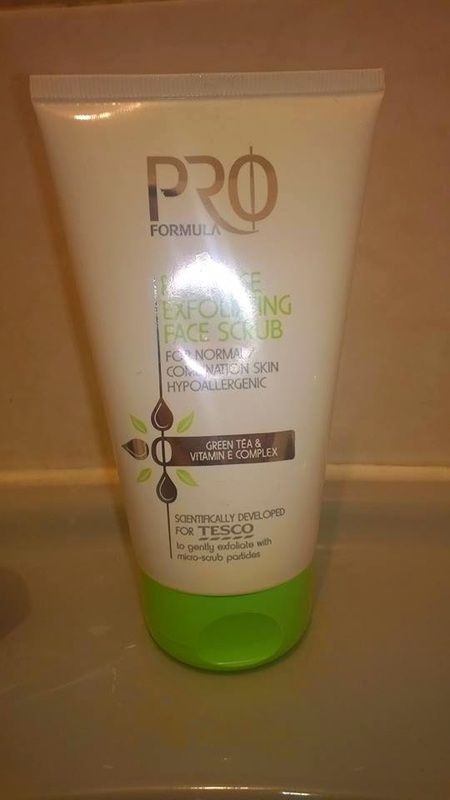 The exfoliating scrub is very mild with a few small grains. I know I used a scrub over Christmas that was heavy on the grains and after it felt I had put a grater to my face. This one gently exfoliates away everyday dirt and impurities and lags your face soft and refreshed. For the price tag it's a pretty good buy to have tucked in your bathroom. They also have brought out a new cleanser, which I'm going have to source out and see how it compares. In combination with the muslin cloth to removing the last traces of everyday dirt and makeup, to leave the skin feeling cleansed and purified. Contains green tea and vitamin E complex. Relieves tired muscles with skin softening bubbles infused with calming extracts of passion flower, petitgrain & orange oil. Infused with plum, ginger & bergamot, let the Indulgent Bath Gel soothe your body and gently cleanse your skin. Light the beautifully scented candles, run a bath and relax with these soothing de-stressing bath salts. The full Calcot Manor and Pro Formula ranges are available in store and online at now.